fiduciary responsibilities of directors and officers. The compliance attorneys of Kaliko & Associates provide your company with a knowledgeable review of the existing circumstances. Our lawyers assist you in revising or drafting of required policies, procedures, and internal controls that your company. All of your documents need to remain compliant with relevant laws and regulations. 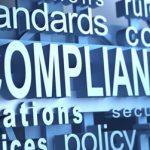 Our attorneys conduct an independent and objective analysis of your company’s compliance efforts. We confirm that your company, officers, and directors have implemented prudent and correct policies, procedures, and controls to become or remain compliant with relevant laws and regulations. If necessary, we will recommend specific measures and remedial actions. If needed, we will draft new policies, procedures, and controls to protect your business. Preparation of audit committee charters, codes of ethics and various other required policies and procedures.